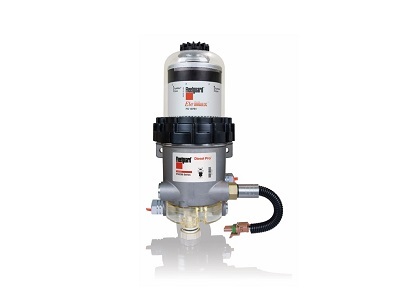 The Fleetguard FH230 series, rated for diesel fuel flow up to 180 GPH (681 LPH), is intended for use in on-highway, off-highway, and mobile or stationary applications. The Fuel Pro is available in a number of variations - which include the standard non-heated options, thermostatically controlled fuel heat, fluid heat and optional pre-heaters (12V DC, 24V DC, or 120V AC), assuring that cold weather start is never a problem. 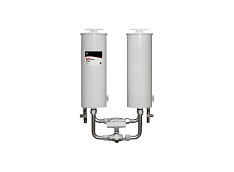 It combines EleMax™ filter technology and multi-layered Stratapore® media making it the best fuel/water system on the market today. 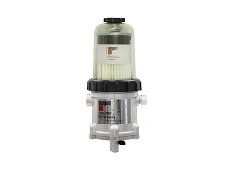 More original equipment manufacturers are specifying advanced fuel filter/water separators for their marine diesel engines. The Sea Pro FH240 filters rise to the occasion by providing maximum efficiency and optimum performance with the use of premium NanoNet® media. NanoNet traps and retains contaminants even under real world vibration and flow surge.